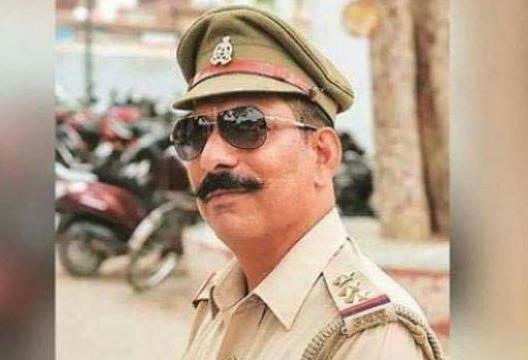 New Delhi : In a shocking revelation it has come to fore Police inspector Subodh Kumar Singh, who was killed during violence over alleged cow slaughter in Bulandshahr on December 3, had his thumb chopped off and sustained head injuries in an axe attack before being shot dead, police said. These startling facts came to light during interrogation of prime accused Prashant Nat, who was arrested on Thursday, and recreation of the crime scene on Thursday evening. 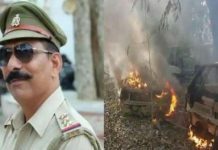 Senior superintendent of police, Bulandshahr, Prabhakar Chaudhary said the villagers had felled a roadside tree to block the Bulandshahr-Garhmukteshwar road during their protest against alleged cow slaughter in Mahaw village in Syana area of Bulandshahr. Not absconding Bajrang Dal member Yogesh Raj but a 30-yearold petty criminal named Prashant Natt, whose name did not figure in the first information report, has emerged as the prime suspect in the killing of inspector Subodh Kumar Singh in Bulandshahr earlier this month, according to a senior Uttar Pradesh Police officer. 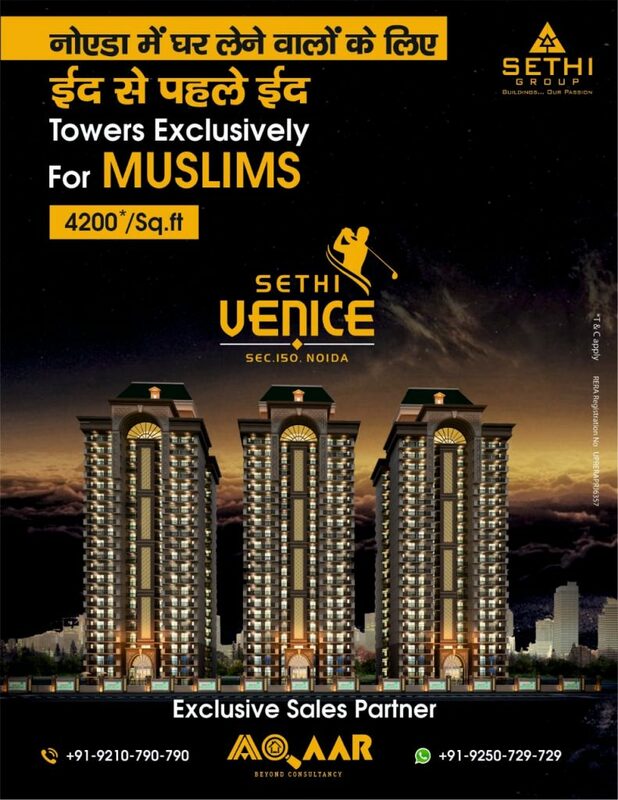 “Inspector Subodh Singh reached the spot with police force and tried to pacify the mob. A villager, identified as Kalwa of village Chingrawathi, attacked the inspector with an axe in a fit of rage and chopped off his thumb. The injured inspector snatched the rifle of a policeman and tried to disperse the violent mob but he was again attacked with the axe sustaining an injury on his skull,” he said. The SSP said villagers also started pelting the policemen with stones. “The injured inspector ran towards an open field to save himself but the mob chased him and shot him dead. Other policemen also fled the spot to protect themselves,” he added. Kalwa is still on the run.Nat, a taxi driver, was on Thursday arrested from Noida for allegedly killing the police inspector.Police said Nat had confessed to shooting the inspector with the policeman’s own weapon in a fit of rage. Bulandhshahr’s additional police superintendent, crime, Shiv Ram Yadav said Nat told interrogators that he caught hold of Singh when the mob cornered him in an open field after local youth Sumit was shot. He said Nat then allegedly shot Singh dead after snatching the inspector’s pistol. Nat’s arrest came over a week after Singh’s family blamed political pressure for the police’s failure to arrest the main accused in the case. Earlier, six of the 27 accused named in the case were arrested. As many as 19 others have been held after they were caught on video footage of the violence. 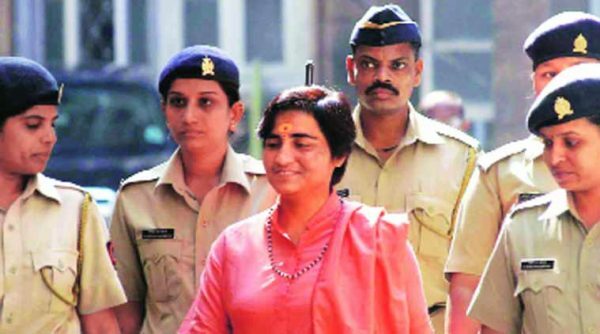 Three key accused, Bajrang Dal’s Yogesh Raj, Bharatiya Janata Party leader Shikhar Agarwal, and Vishwa Hindu Parishad activist Upendra Raghav, remain on the run. Hate extremists blinded by rage destroying the people who are protecting the nation! What to say about a people to whom a cow matters more than a human being! !